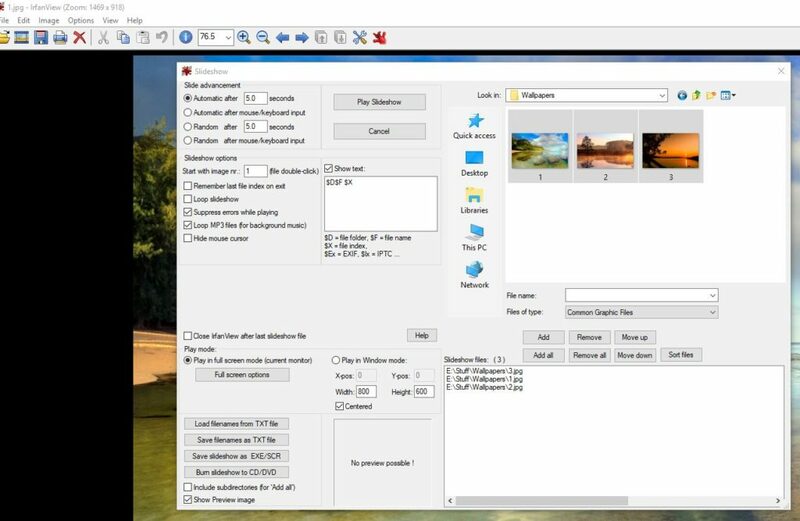 IrfanView is a classic and robust free image viewer for Windows that has many features for regular and power users. It supports images of various formats, create slideshows, edit images, take screenshots, batch process image conversion and more. Also, there are add-ons for Photoshop Filters as well as other custom tasks. Let’s take a look at some of the common tasks this feature-rich image viewer can do. 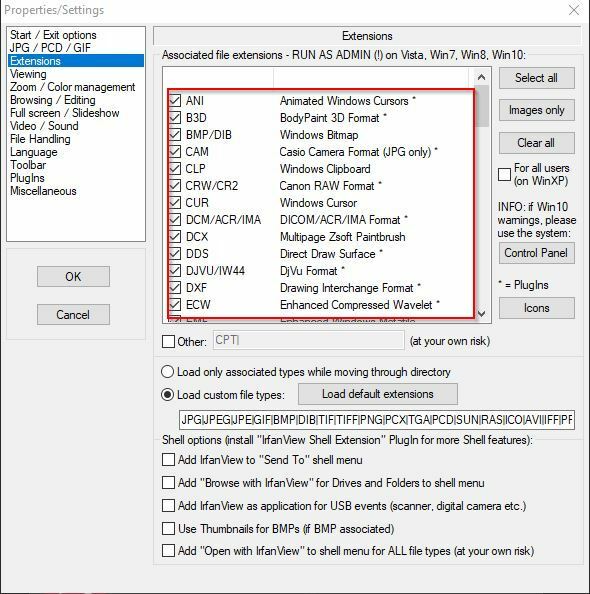 Customizing commonly used settings: The main interface is simple and has most of the common settings listed in the drop-down menus. To associate image files of various formats, choose Options > Properties/Settings and Select all. If other graphic elements like icons, cursors etc need to be excluded from opening in Irfan View, use the Images only setting. 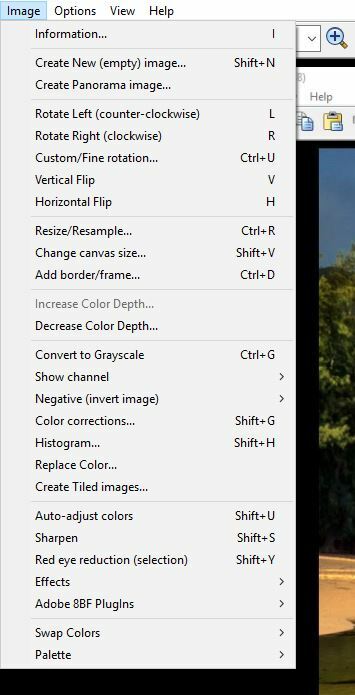 For capturing screenshot of existing image, choose Options>Capture/Screenshot (shortcut key C). Searching for images : It has a built-in search feature that can list files of different extensions. Source path for searching as well as time range (date) can be provided if needed. Creating slideshows : Making slideshow is simple too. Select slideshow (2nd from left) icon and choose images from the source folder that need to be included in the slideshow. 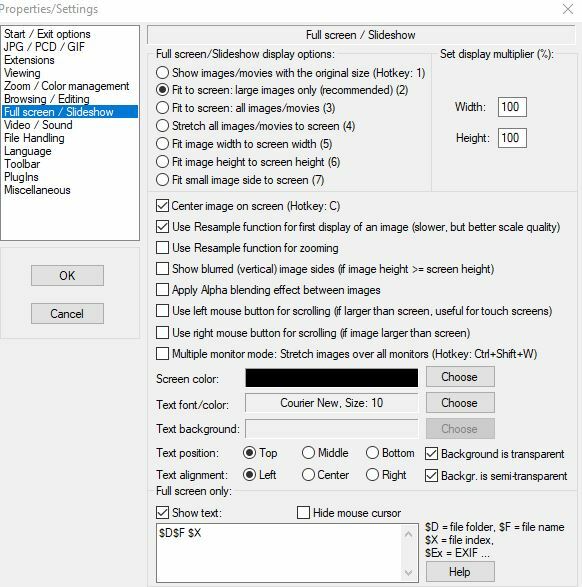 The created slideshow can be exported and saved too if needed using the Save slideshow as EXE/SCR option. 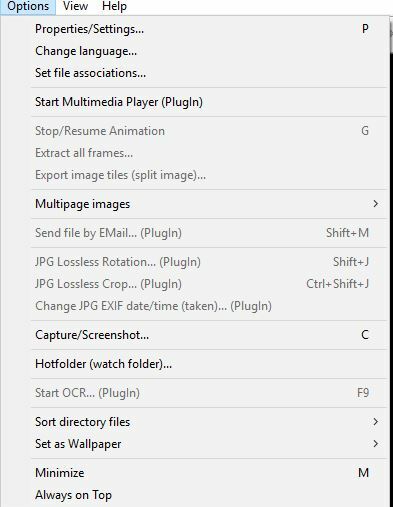 Next, customize advanced slideshow settings from Properties/Settings > Fullscreen / Slideshow. 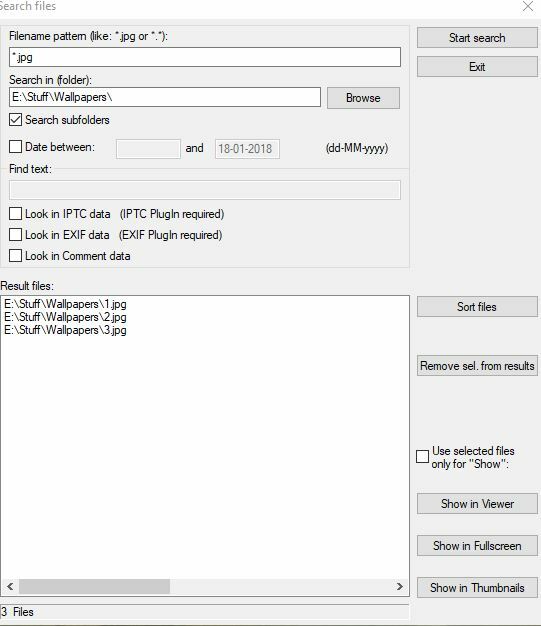 Working with images : A useful feature is that EXIF and other image details can be quickly viewed and copied to clipboard. To view it, go to Image > Information or shortcut key I. 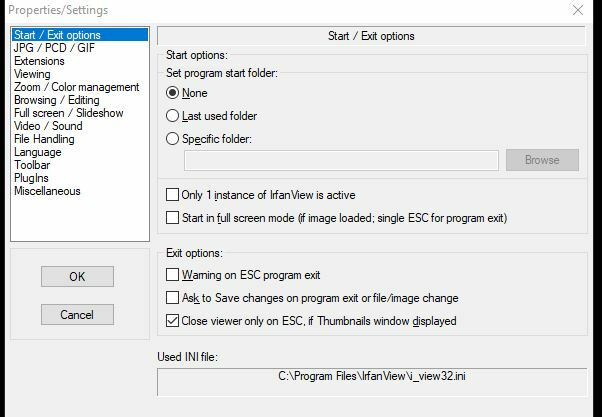 For directly displaying images from a specific folder everytime when IrfanView is launched, the settings are in Start/Exit options from Properties/Settings. Editing images is simple as well. 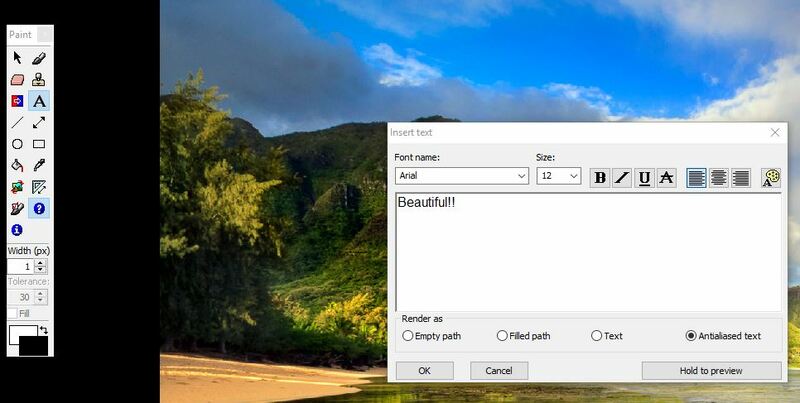 The Paint tool can add text, highlight selection and much more. 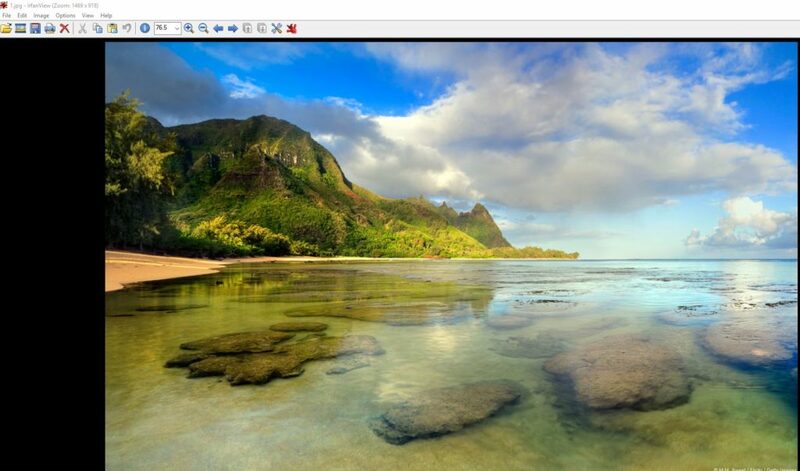 Advanced image editing functions can be accessed from Image drop-down. 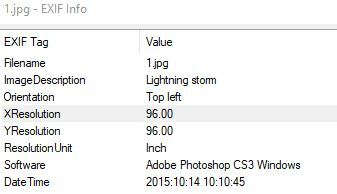 Overall, this is a useful image viewer that has been around for long. It is updated regularly and though free to use, donations are accepted for development.